What is a Maine Living Will? Maine Living Will: What Is It? A Maine living will is a document used in the estate planning progress. The purpose of a living will is to explain how you want your medical care handled in the event that you are no longer able to make your own decisions. 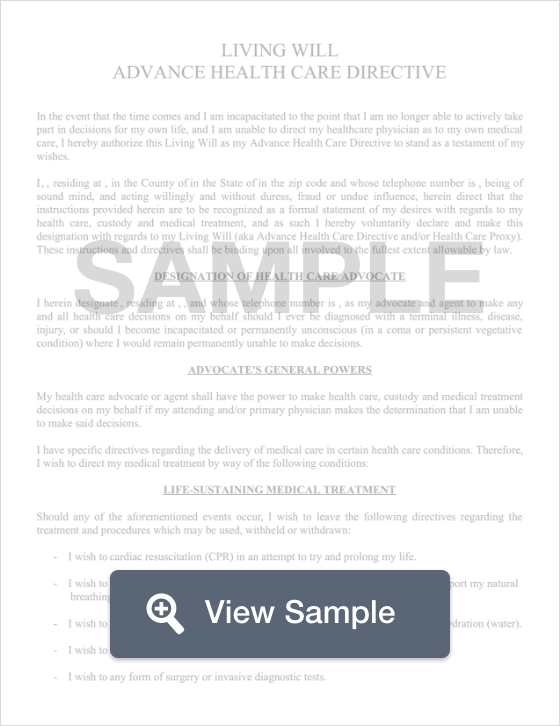 This document is also used to appoint an agent to make medical decisions on your behalf if you are incapacitated. A Maine living will is more commonly known as an advance directive. A Maine living will needs two witnesses to sign the document. 18-A §5-802: Maine’s law, the Uniform Health-Care Decisions Act, states that living wills may be in writing or created orally. However, an oral instruction is only valid if it is made to a healthcare provider or to the individual who will serve as the surrogate. To further express your desires, create a Maine last will and testament as well.